On this date in 1763, King George III of England issued a royal proclamation that, among other things, divided Florida into two provinces, East and West, separated by the Apalachicola/Chattahoochee Rivers. 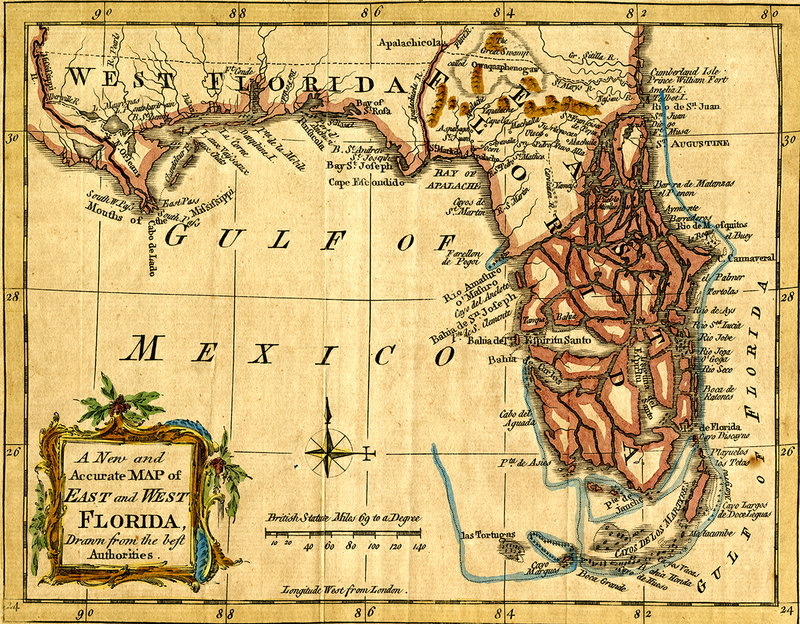 The British controlled Florida from 1763-1783, when, following the American Revolution, the Treaty of Paris in 1783 returned Florida to Spanish control until it became a territory of the United States in 1821. Surveyor Bernard Romans’ map, “Seat of War in the Southern British Colonies,” published in 1776, shows just how much the British learned about the territory during their brief tenure.